If you had to ask me, I would have to say my favorite season is Summer. I just love being warm all the time. However, every season has its valuable qualities. Take Autumn for instance! It’s one of the times of the year when some days are warm and some days are cold. Autumn, or “Fall”, has its own uniqueness. Here are fifteen of my favorite things about Fall! Look at all the pretty colors! The are absolutely beautiful! All the different shades and hues, you can’t make this up! They all blend together perfectly too, just the colors alone make you “Ooo” and “Ahhh” when driving through country roads. Can I get a “Holla!” from all the pumpkin spice lovers out there?! Pumpkin Pie, Pumpkin Cheesecake, Pumpkin Spice Lattes, Pumpkin Ice Cream, you name it, they’ve got it! 3. The Fashion is To Die For! Let’s be honest, for some reason whenever fall rolls around in the calendar, everybody automatically becomes much more fashionable. Blanket scarves and cute little beanie hats become huge fashion statements. And oh, the boots! Boots, boots, boots. Riding boots, above-the-knee boots, booties, so many cute boots! Just take my money! Thanksgiving is in the season of Fall, and you know what that means! Turkey, Mashed Potatoes, Stuffing, it’s wonderful and makes you forget about trying to look good. But it’s okay because it still tastes amazing on your second and third plate. 5. Caramel Apples are a Must! Sure, you can get Caramel Apples from the county fair, but they are truly best in Fall time! Crisp, fresh, covered in caramel and nuts! It’s a personal favorite treat of mine. 6. Picking Your Own Apples From The Orchard. You know when you go to an Apple orchard and find that perfect Red Delicious Apple? The success you feel in your heart when you take it home and you bite in to that sweet, and tart fruit. It’s pure bliss! 7. And Of Course Apple Cider! Hot or cold? A feud that seems to come back every year around this time. My personal preference is cold, simply because I can taste more flavor in it that way. But to each their own! It’s still delicious either way! 8. Cuddle Season is Kicking In. Everybody loves grabbing their significant other and plopping down on the sofa in a big warm blanket in front of a fire. And if you don’t have a significant other, you still have that big, warm blanket! It’s time for some football and going to tailgates! Put on your favorite teams jersey and go hang out with your buds to cheer them on! If you haven’t figured it out yet, I love all things shopping. And Black Friday and Cyber Monday are shoppers weakness (or strength depending on perspective). It’s a tradition to eat your Thanksgiving dinners, watch the football game, take a good nap, then wake up ready to pounce on those doorbusters! Big ones, small ones, orange ones, white ones. Some are used for outdoor decorations, some are used for making jack-o-lanterns, some are used for pulling out the pumpkin seeds to eat as a snack later. It’s always fun to go to pumpkin patches with your friends and find all the best ones. 12. Candy Goes on Sale After Halloween. We are not personally Halloween fans, but we love candy! Who doesn’t right? Candy corn, candy bulk bags, normal chocolate becomes “spooky chocolate”, still tastes the same to me though! And it’s on SALE! I will always prefer being warmer, but there is something about that brisk Autumn air and the smell of fallen leaves drifting through it that makes you want to cozy into your favorite sweater and sip a warm Chai Tea Latte. Ahhhhhh, that glorious day when you get a whole extra hour of peaceful slumber. It’s refreshing and satisfying and makes me eek with joy! 15. Finally, Sitting Around a Crackling Fire With Your Best Friends, Roasting Some ‘Mallows. So, go light a campfire, grab some lawn chairs, invite your friends over, and roast those ‘mallows! Hope you enjoyed reading about my favorite things about Autumn! There are so many elements that make it a marvelous time of the year, what are your favorites? What else do you think deserves to be on this list? 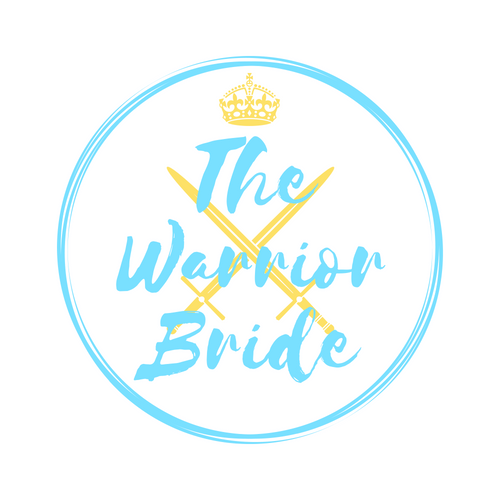 Comment below or email me at thewarriorbrideblog@gmail.com. Fifty Memory Making Christmas Traditions To Start With Your Family! What It’s Like To Have Child-Like Faith As A Full Grown Woman.